Spy shots show the upcoming 2012 Audi A3 three-door hatch testing in Argentina. Audi has recently been spotted testing the upcoming 2012 A3 prototype in Argentina. It appears that after some rigorous testing, the three-door mule hatch looks like it desperately needs a car wash. It&apos;s still a bit unclear to say exactly what the next generation A3&apos;s front end will look like. However, elements of the new styling language are evident, such as the newly styled headlights, larger front grille fascia and LED daytime running lights. Looking at the side skirts, it seems like there&apos;s the standard A3 setup with the traditional single curved contour and no excess lines or cuts to the panel design. We get a slight glimpse at the interior and from what we can tell, Audi plans on stepping up a level in quality, fit and finish. 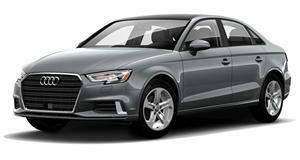 The new A3 will also receive new door trims with aluminum accents and optional leather upholstery. Although Audi hasn&apos;t released any concrete details about the powertrain specifics yet, we can expect the next generation A3 to feature a range of small turbocharged gasoline and diesel four-cylinder engines. A hybrid version is also said to be in the works. The new Audi A3 is projected to go on sale sometime in 2012, possibly after its Geneva Motor Show debut in March. The A3 will be available in three and five-door hatch forms, in addition to a new sedan layout. Photos courtesy of CarAdvice.